Readercon, Asimov’s, and review roundup! Me and my first Asimov’s! It’s been an eventful month! My novella Waters of Versailles came out at Tor.com and as an ebook on June 10th. The August Asimov’s with my story Two-Year Man hit in ebook format on July 1, with the hard copy magazine released to newsstands just yesterday. And tomorrow Alyx and I leave for Readercon! When Alyx and I moved to Toronto two years ago, one of the changes that most excited us was the easy access to the big East Coast SF conventions. This will be the first time we’ve taken advantage of our new location. I hear so many good things about Readercon, and can’t wait to discover it for myself. After the con, we’re taking a couple of vacation days in Boston. There’s nothing we like better than exploring a new city. Many photos will be taken. 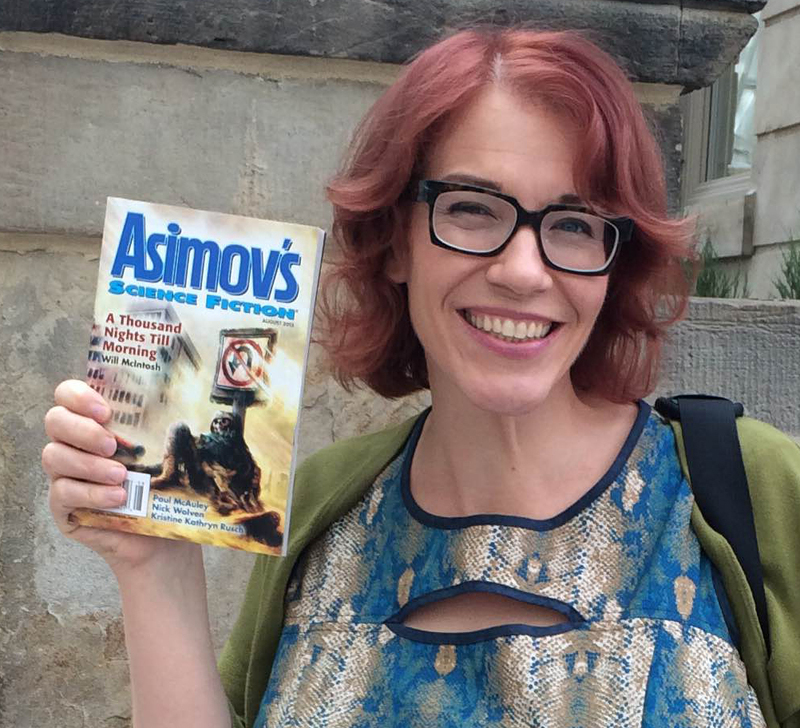 Yesterday I got my hands on an actual physical copy of the August 2015 issue of Asimov’s with my story Two-Year Man. I’ve read Asimov’s Science Fiction Magazine religiously since I was 16 years old. The magazine is utterly responsible for the current state of my adult brain, and I can’t quite believe a story I wrote is actually in it. Also — excitingly — James Patrick Kelly (whom I’ve been reading and enjoying for years) interviewed me and several other first-time Asimov’s authors in this issue. The article is also posted online. Waters of Versailles has received several nods from reviewers. I couldn’t be more thrilled. A.C. 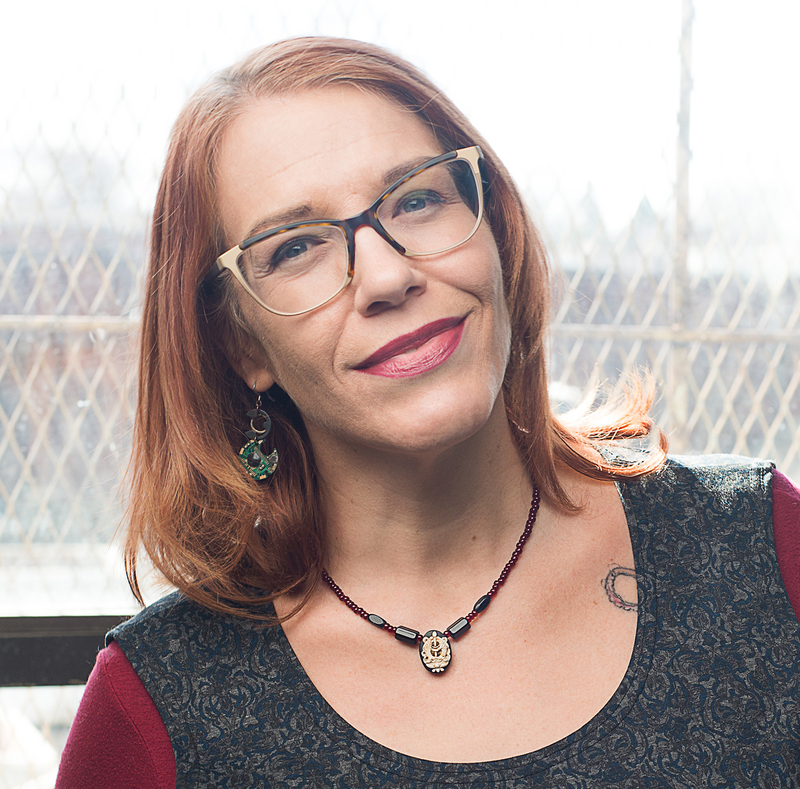 Wise has kindly included me in the July 2015 edition of her terrific Women to Read: Where to Start column at SF Signal. It’s such a compliment to be included! In the podcast, Tansy also mentions that she fell in love with the art Kathleen Jennings created for the novella, and hadn’t actually realized it was cover art. When Kathleen made the piece available at Redbubble, Tansy bought several items and then was surprised to come across the art at Tor.com. She probably wouldn’t have read the story otherwise, so I’m double grateful for the wonderful cover Kathleen created.